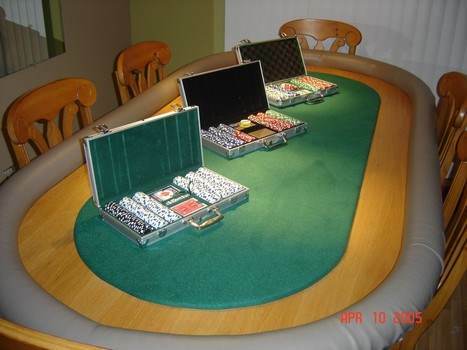 Free poker table plans including racetrack poker tables, Texas Hold'em poker table & octagon poker tables. 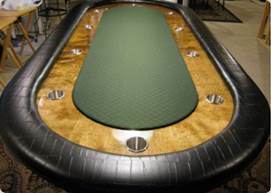 After finding free plans below for a poker table you want to build, begin designing the poker table by selecting your preferred top fabric color and wood finish. 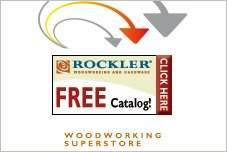 Gather the supplies you will need from the material list, along with tools needed. Each plan below should include steps for building the table base, adding the legs to the table, installing the felt and foam, and building the rail. The sky's the limit on how much you could spend building a poker table, but most of the plans below should cost about $175 to $500. 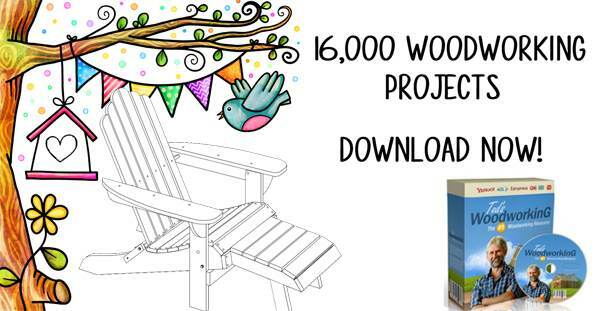 Build this solid wood game table that has fold out extensions for when a larger table is needed. 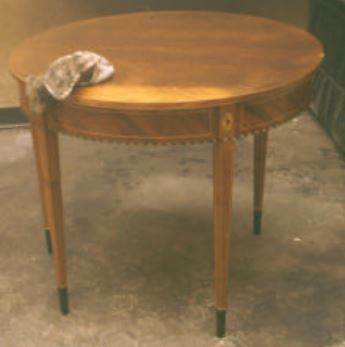 This detailed plan uses MDF and pine wood for building this attractive round card table with artsy detailing. 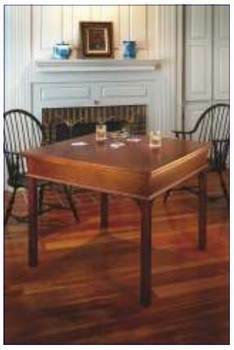 Downloadable plans for an octagon shaped poker table with arm rest, drink holders and pedestal support. 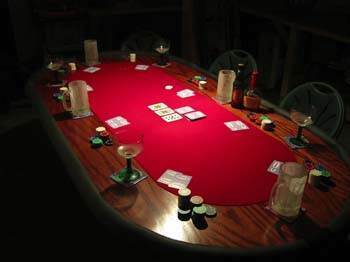 Here are plans for building a poker table for less than $200.00 and it can be built in a single afternoon. 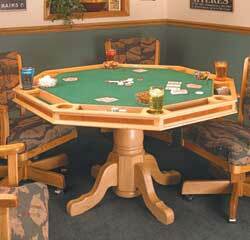 Here are plans for a poker table that costs about $175.00 to build using these ten simple steps. 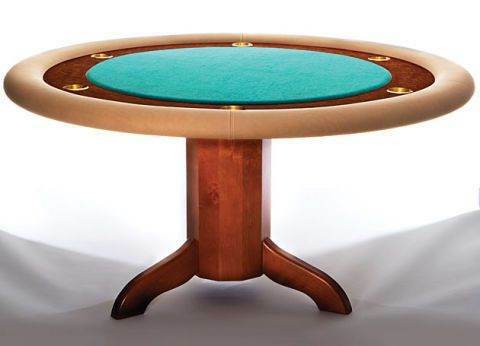 Here are instructions for building a round poker table with pedestal support, cup holders, arm rest and more.